At The Austonian, a resident’s home encompasses much more than the typical downtown condo. It extends beyond the unit itself to the 40,000 square feet of luxe amenity spaces located on the 9th, 10th, 55th and 56th floors of the building, which are available for resident use. Designed by landscape architect TBG Partners, the 12,000-square-foot Lawn on the 10th floor of the building is a centralized, community area with breathtaking views of the city. This serene and peaceful area wraps around the tower and includes a 75-foot saltwater lap pool with nearby saltwater spa, luxury cabanas, and outdoor kitchens and fireplaces. 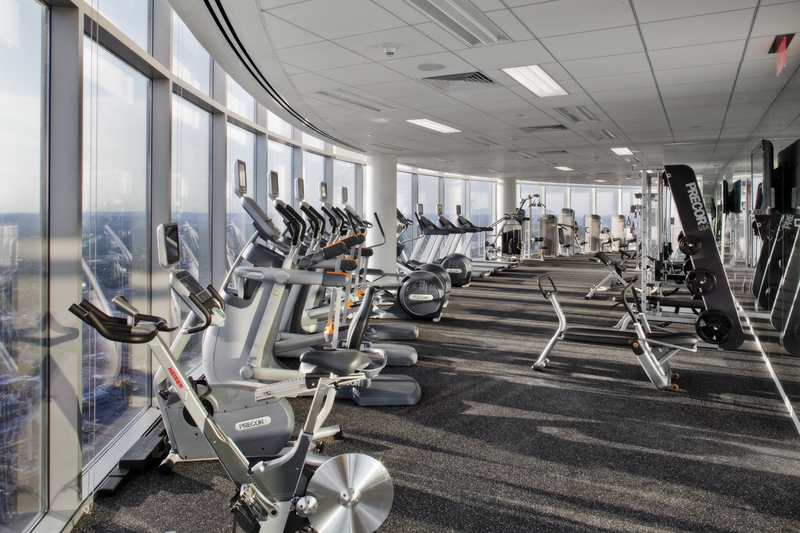 The Fitness Center at The Austonian is located on the top floor of the building, where each resident can enjoy inspiring 360-degree views. The western-facing side of the Fitness Center is reserved for cardio and strength training, and includes more than 20 pieces of resort-quality fitness equipment. On the eastern side, a yoga and Pilates studio offers a space for residents to meditate, stretch and tone. Located indoors on the 10th floor, the Billiard and Game Room – also known as The Lone Star Bar – is an intimate and casual space for residents. The bar, billiard and game room is home to flat screen TVs, club chairs and a pool table. A full catering kitchen adjacent to the space can also provide service to the Lawn area. Private spa and treatment rooms are available on the 10th floor of the building, where residents can bring in their preferred vendors for facials, massages, hair and skin treatments and other services. 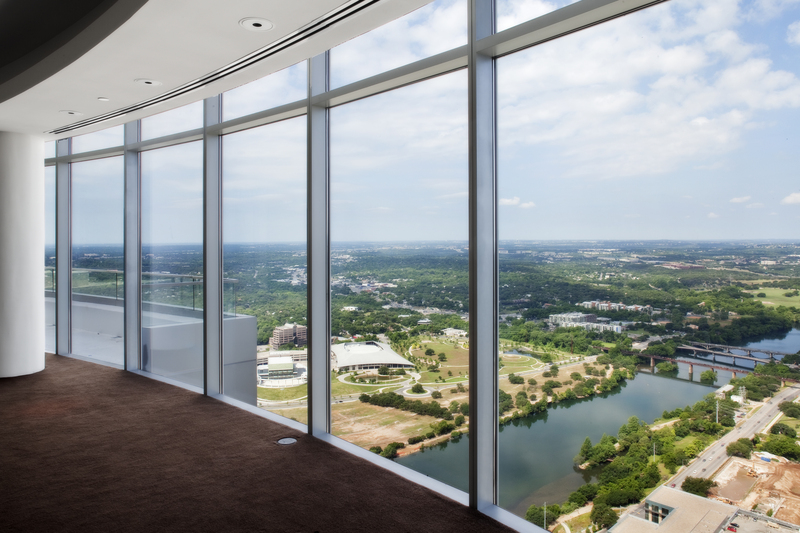 An indoor Dog Grooming Room is located adjacent to the outdoor dog park on the 10th floor of The Austonian. This space includes raised bathing areas and grooming supplies. Residents of the building can schedule services in the room with their preferred groomer. The west side of the Lawn features a 600-square foot dog park, a favorite place for the four-legged residents of the building. Featuring Synlawn synthetic grass and a complete draining system, the area allows residents a place let their dogs enjoy the great outdoors without having to leave the building. 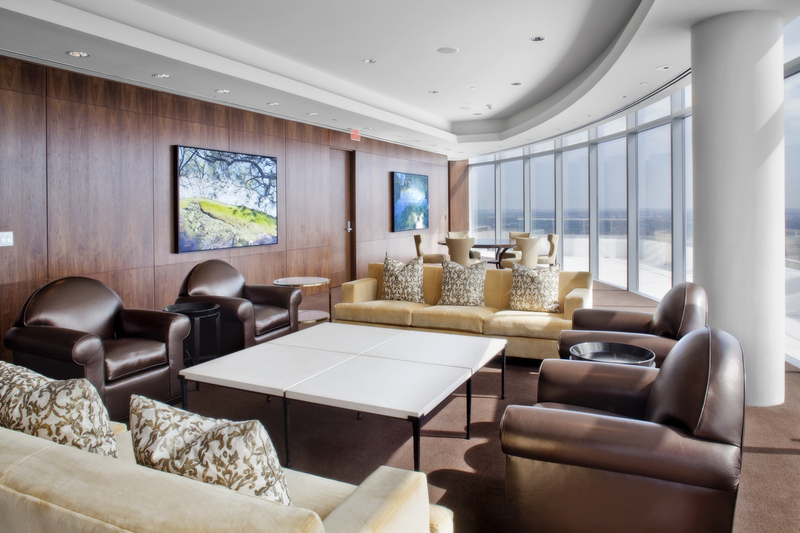 An intimate and comfortable library on the 10th floor of the building features a wide-range of books available for homeowners at The Austonian. The tranquil space features a wall of floor-to-ceiling windows facing the outdoor lawn. A part of the 10th-floor community area, the Theater at The Austonian is a state-of-the-art 12-seat movie theater that residents can reserve for movie nights or football watching parties through the building’s front desk. The facility has a 133-inch HDTV screen, stadium-style leather seating, and wireless tablet-based theater and climate control. 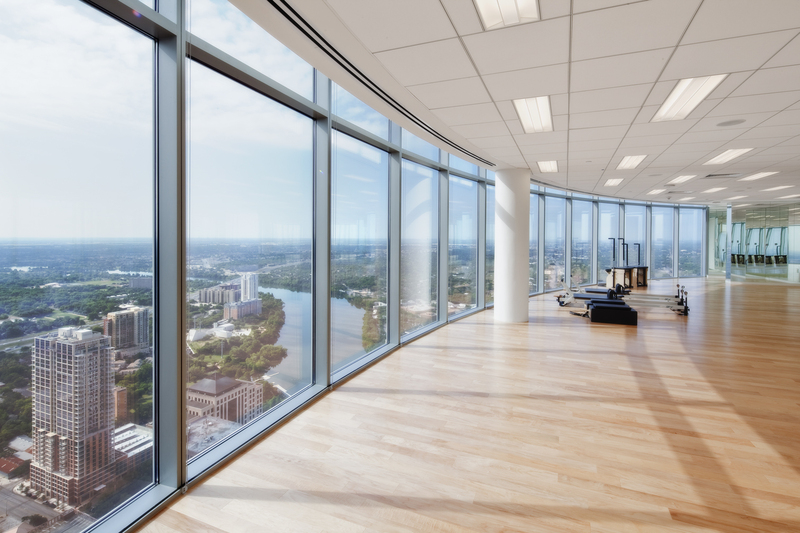 With so many spaces devoted to play, The Austonian also features areas for work. A 12-person executive meeting room is available on the 10th floor. The facility supports voice and video conference calls. The glass-ensconced, full-floor Austonian Club acts as an extension of individual homes in The Austonian. The 6,000-square-foot space overlooking the city is a popular area for residents to enjoy an early morning cup of coffee or host a variety of events, both large and small. The 9th floor of The Austonian is home to the building’s wine vault, where residents can reserve independent storage lockers to keep their wines at optimum conditions. The 400-square-foot, climate-controlled room can hold up to 4,500 bottles of wine, and includes two air handling units - connected to back-up generators - used to maintain the humidity and room temperature at 58 degrees.